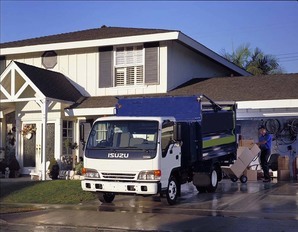 ​Scrap metal pickup is essential to maintaining a well-groomed look for your property. Phoenix Junk Hauling is the preeminent company for scrap metal pickup in Phoenix, AZ, our services makes the difference in the neatness of your residential or commercial property. With each finished job, you see a vast improvement in the look of your outdoor area. We are the metal recycling and pickup specialists that business and homeowners have come to rely on for over 10 years. Regardless what type of metal you need to be removed or recycled, we have the service package and pricing to fit your budget. 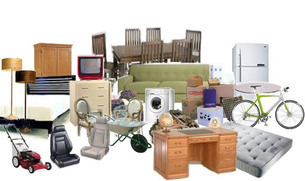 We can handle all scrap metal pickup jobs, as well as junk removal jobs, to get your lot or yard cleared quickly. Our professional team is extremely experienced and gets the job done with minimum hassle. Keeping unnecessary metal out of your outdoor space is important for the safety and health of the surrounding vegetation in many ways. We remove metal scraps so you will never have to deal with rusty metal. Many amateur companies just remove the metal, not bothering to recycle it afterwards. Our team possesses the knowledge and skills you are looking for in a metal pickup and recycling business. Our biggest source of pride is our stellar reputation in the Phoenix, AZ area. Having been in business for over 10 years, we understand the importance of keeping each customer happy. No matter where you are in the Phoenix, AZ community, if you need scrap metal removed or garbage pickup, we can help you. We're pros who know the business. As part of the 1800junk family, Phoenix Junk Hauling has been in the recycling business for over a decade, so we have the experience to get the job done correctly. ​Our workers go through a rigorous training program and know how to handle all types of materials. We always strive to be prompt and courteous - we call ahead to confirm arrival times so you don't have to wait around! We use professional-grade equipment for all our scrap metal recycling jobs. Clearing out unwanted metal makes room for others things to beautify your outdoor space. We complete the job with your needs in mind. When you are ready to clean your property, metal and junk removal brings to sight a new perspective. If the yard of your home or business is in need of a complete clearing of scrap metal, turn to Phoenix Junk Hauling.